Bauer & Associates protects your interests by assisting you in all forms of estate planning ranging from the preparation of a simple will to setting up more complex trusts. Bauer & Associates cares about how your family’s Probate and Trust administration matters are handled. We provide guidance and counsel through the entire process. Bauer & Associates welcomes all types of business owners in need of experienced, dedicated corporate and business law counsel. Bauer & Associates handles both commercial and residential real estate transactions and assists clients in a timely and efficient manner. Bauer & Associates' attorneys are competent, knowledgeable, and well-prepared to represent individuals, families, and businesses in litigation matters. Bauer & Associates offers a specialized plan for its corporate clients to assure that annual reports are properly filed and the company remains in compliance. The attorneys of Bauer and Associates, Attorneys at Law, P.A. have been protecting the interests of their clients for over 30 years. 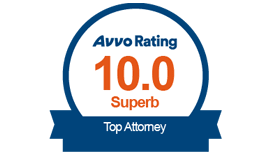 Our firm is comprised of kind and caring lawyers, paralegals, and staff committed to providing excellent and high quality legal services on a timely basis. It is important to the staff at Bauer & Associates that our clients are comfortable walking through our doors and have confidence in our firm that we will exceed their expectations. Our staff understands that clients may be dealing with a stressful situation and we will make every effort to keep their mind as ease through every step. The attorneys concentrate their practices in many areas of law, including estate planning, probate & guardianships, business law, real estate, and litigation. They are assisted by two Florida Registered Paralegals, and experienced staff. The firm strives to provide friendly and personal services to its clients. Our staff thoroughly enjoys the relationships we build with our clients along the way. I can't say enough about the quality of work that Mr. Bauer has done for me and my wife. Kirk is always available to talk with us, is very knowledgeable, dependable and honest. I highly recommend his work. I cannot say enough good things about him." Please complete this form and one of our attorneys or paralegals will be in contact with you.